Actually, trust is our primary commodity. When you choose products, solutions and services from the Global Leading Experts in intelligent braking solutions, trust is what you buy. 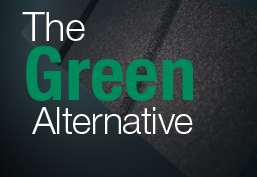 Our global mindset and vision combined with our market leading position and decades of accumulated expertise within industrial brakes all add up to this one, decisive word. 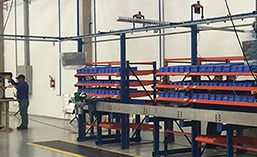 Trust us, and you can rely upon your operation. 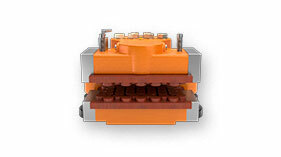 Reliable solutions, ultimate up time and zero problems. We know you can’t afford to fail. So we won’t. 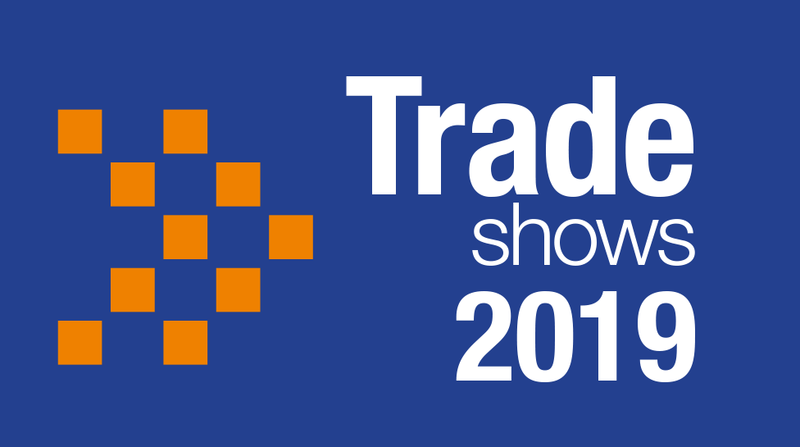 We hope to see you at one of the many trade shows we attend all over the world for Marine, Mining, Oil & Gas or Renewable Energy in 2019. Asbestos free friction material for Yaw Brakes. Contains less than 0.1% Mercury, Chromium 6+ and Lead and less than 0.01% Cadmium. See special features and view 2 min. film. To assist with planning of deliveries/collections, please see our Global Shipment Calendar listing all dates of closure for all our offices worldwide. 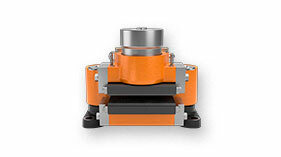 Svendborg Brakes has turned its expertise on yaw brake noise and developed a solution that can be applied to the majority of installations, an Anti-Glazing Groove. 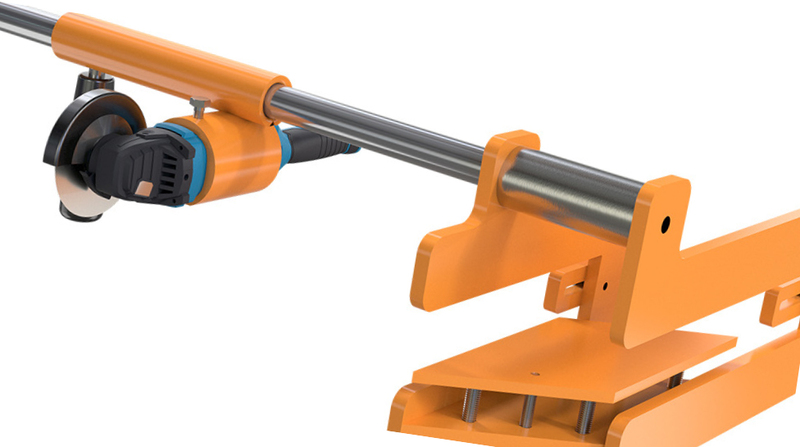 Cuts service time by 50%, improve safety and prevent downtime with this groundbreaking new Yaw Brake Lifting & Installation Tool from Svendborg Brakes. To give our customers the opportunity for instant Service Support, we have developed a new Service App. Now ready to download free of charge! Largest Product Range + 3D Cave! On the 23rd of November 2016, Svendborg Brakes in Denmark played host to the Czech Republic Ambassador to Denmark, Mr. Jiří Brodský, and Deputy Head of the Mission, Miroslav Čančík. 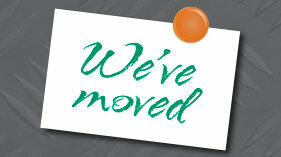 Svendborg Brakes' US and Austalia Perth offices relocate to bigger and better facilities - now with extensive spare parts stocks and workshop. Attention all US customers and partners! Whether the need for spare parts is Wind or Industry related, all requests & orders are handled by our office in Denver, CO. 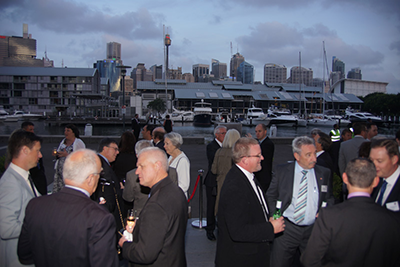 Celebrating outstanding performance and high achievement at the Bulk Awards Ceremony. 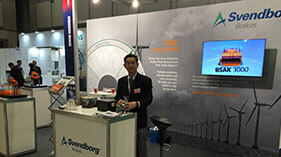 Svendborg Brakes created a lot of interest displaying a range of brakes - supporting small wind turbines to large megawatt turbines - to the Japanese and Asia Pacific markets! 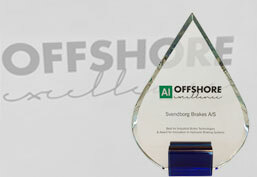 Yet another successful show for Svendborg Brakes. Our products got a lot of positive attention! 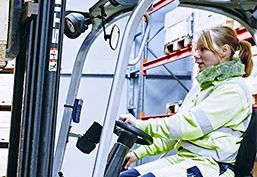 Safety is always paramount and never compromized at Svendborg Brakes. 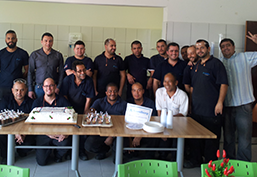 We have just celebrated 600 days without a near miss - now going for 1000! Cromphensive braking knowledge, prepare to handle real life situations. 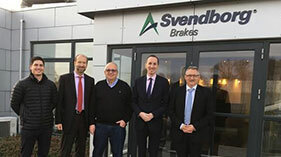 Svendborg Brakes is opening brand new production facilities in Sâo Paulo. Click to open invite! 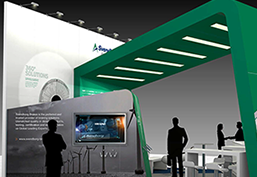 Visit our stand at the Brazil Wind Power Conference & Exhibition 2015 to hear all about the new production plans for Brazil! A new look to a brand that never goes out of style. 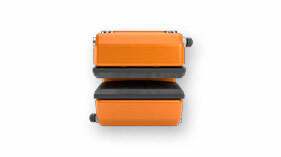 The LBS 120 and the LBS 90 are the new and innovative yaw brake lifting & installation tools. 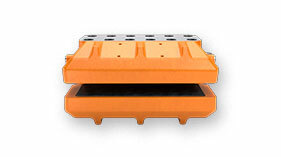 They offer a safe and fast way to completely remove and install yaw brakes during service. Asbestos free friction material for Yaw Brakes. 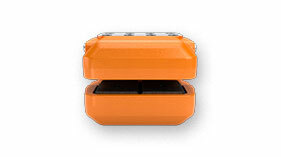 Contains less than 0.1% Mercury, Chromium 6+ and Lead and less than 0.01% Cadmium. At 18 trade shows around the world. 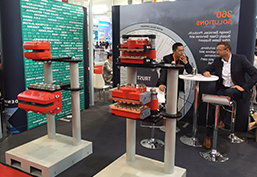 Svendborg Brakes exhibits at a large number of trade shows in 2018. Please click below for a list of all the shows we will attend this year. The Wheel illustrates Svendborg Brakes’ value and business model. Trust is the overt centre around which all of our solutions and services revolve. 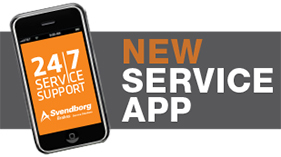 Free Svendborg Brakes Service App provides 24/7 Service Support, anywhere in the world! 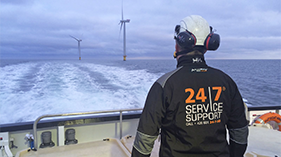 The industries to which we strive to be the preferred provider of these products and solutions include: Wind, Oil & Gas, Mining, Tidal, Hydro, Marine and Cranes. 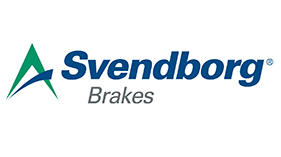 Svendborg Brakes' comprehensive product range makes us your answer to one-stop brake shopping and supply. 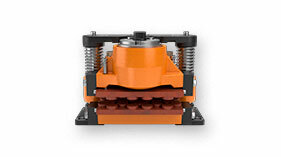 Reliable and safe hydraulic braking systems for a wide range of applications. 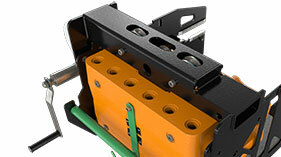 Our engineers design highly flexible power units with full safety functionality and performance. Rear mounted: Clamping force: 0 to 32.400 N | Side mounted: Clamping force: 0 to 24.500 N | Brake pad distance (w): 0,056m| Weight: 11 kg | For Renewable Energy, Oil & Gas. 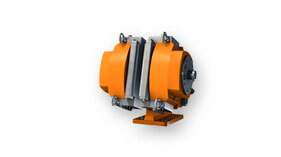 Clamping force: 0 to 141.000 N | Brake pad distance (w): 0,102m | Weight: 53 kg | For Renewable Energy, Marine. 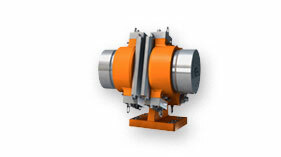 Clamping force: 0 to 235.000 N | Brake pad distance (w): 0,102m | Weight: 55 kg | For Renewable Energy, Marine. 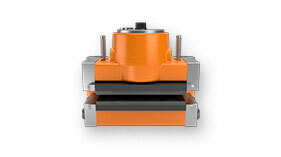 Clamping force: 0 to 628.000 N | Brake pad distance (w): 0,136m | Weight: 170 kg | For Renewable Energy, Marine. 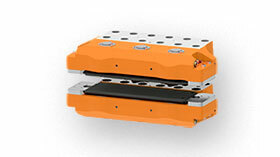 Clamping force: 0 to 628.00 N | Brake pad distance (w): 0,136m | Weight: 198 kg | For Renewable Energy, Marine. Clamping force: 0 to 55.000 N | Brake pad distance (w): 0,13m | Weight: 73 kg | For Renewable Energy, Metals Market, Power Generation. Clamping force: 0 to 130.000 N | Brake pad distance (w): 0,20m | Weight: 160 kg | For Renewable Energy, Metals Market, Power Generation. 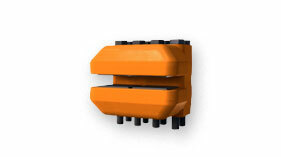 Clamping force: 0 to 1.100.000 N | Brake pad distance (w):= 0,30m | Weight: 1450-1600 kg | For Mining & Aggreate. Clamping force: 0 to 500.000 N | Brake pad distance (w):= 0,30m | Weight: 750 kg | For Mining & Aggreate, Oil & Gas, Crane & Hoist, Marine. 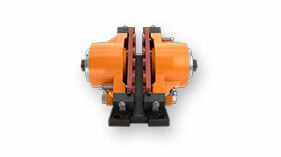 Clamping force: 0 to 120.000 N | Brake pad distance (w): = 0,22m | Weight: 250 kg | For Mining & Aggregate. 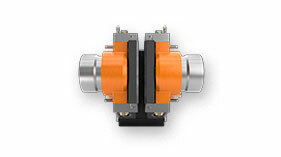 Clamping force: 0 to 200.000 N | Brake pad distance (w):= 0,22m | Weight: 300 kg | For Mining & Aggreate, Oil & Gas, Crane & Hoist, Marine, Metals Market, Elevators/ People Movers, Power Generation. 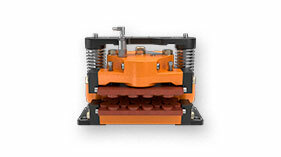 Clamping force: 0 to 3.000 N | Brake pad distance (w): = 0,046m | Weight: 7 kg | For Renewable Energy. 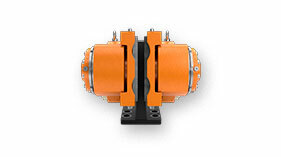 Clamping force: 0 to 12.000 N | Brake pad distance (w): = 0,07m | Weight: 19 kg | For Renewable Energy, Mining & Aggregate, Crane & Hoist, Elevators & People Movers, Power Generation. 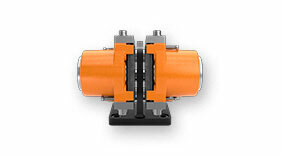 Clamping force: 0 to 60.000 N | Brake pad distance (w): = 0,13m | Weight: 65 kg | For Renewable Energy, Mining & Aggregate, Oil & Gas, Crane & Hoist, Marine, Metals Market, Elevators & People Movers, Power Generation, Water & Wastewater. 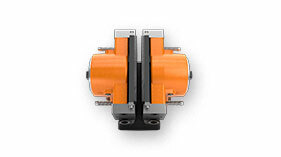 Clamping force: 0 to 60.000 N | Brake pad distance (w): = 0,13m | Weight: 85 kg | For Renewable Energy, Mining & Aggregate, Oil & Gas, Crane & Hoist, Marine, Metals Market, Elevators & People Movers, Power Generation, Water & Wastewater. Clamping force: 0 to 120.000 N | Brake pad distance (w):= 0,20m | Weight: 150 kg | For Renewable Energy, Mining & Aggreate, Oil & Gas, Crane & Hoist, Marine, Metals Market, Elevators/ People Movers, Power Generation. Clamping force: 0 to 120.000 N | Brake pad distance (w): = 0,20m | Weight: 180 kg | For Renewable Energy, Mining & Aggregate, Oil & Gas, Crane & Hoist, Marine, Metals Market, Elevators & People Movers, Power Generation. 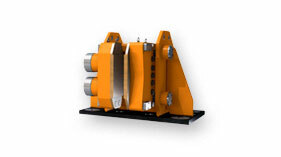 Clamping force: 0 to 350.000 N | Brake pad distance (w): = 0,23m | Weight: 330 kg | For Mining & Aggregate, Oil & Gas, Crane & Hoist, Marine. 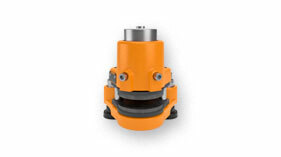 Clamping force: 0 to 350.000 N | Brake pad distance (w): = 0,23m | Weight: 550 kg | For Mining & Aggregate, Oil & Gas, Crane & Hoist, Marine. Clamping force: 0 to 200.000 N | Brake pad distance (w): 0,22m| 780-1000 kg| For Matal Markets & Marine. 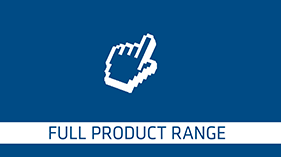 Please click to view our full product range or contact us for a customized solution.